The Buyer: Camping World is America’s largest direct marketer and specialty retailer of RV and outdoor camping accessories and services. It owns more than 75 SuperCenters nationwide, a well-established catalog call center and a website that services RV and camping enthusiasts across the country. The Seller: Nationwide RV has been in business since 1997 and is Missouri’s highest volume RV Dealer. Their large manufacturers’ showroom features over 400 new and used recreational vehicles. Nationwide serves customers across the country and provides Dealer Services including Vehicle Rentals, Parts and Service. The Close: The sellers were a pair of brothers who wished to sell the business for estate planning purposes, but still hoped to remain actively employed in the industry. DVS solicited all major regional and national strategic buyers as well as certain interested individual investors. 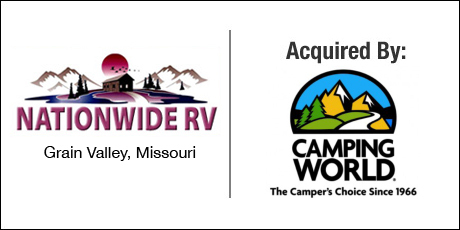 After expressions of interest from both individual and corporate buyers, strategic buyer Camping World provided all-cash terms to facilitate the sale of both the business assets and the real estate at favorable valuations. The sellers were also both retained as employees for Camping World’s ongoing growth plans.